It’s only natural for people to be apprehensive, have doubts or even be suspicious of something that they haven’t experienced first-hand themselves. We’ve put together some of the most common myths about chiropractic and dispel them using the facts! The goal of chiropractic care is actually to maintain the function of your spine and nerve system. Back or neck pain is simply a sign that something’s not quite right! If there is some dysfunction to the nervous system, there is potential for it to contribute to a variety of health challenges. It is important to know though, that the sole purpose is to restore proper function to the nervous system and that chiropractors don’t directly ‘treat’ symptoms or conditions. A 2007 study showed that people under regular chiropractic care had a 60.2% decrease in hospital admissions, 59.0% less hospital days, 62% fewer outpatient surgeries and procedures, and an 85% reduction in pharmaceutical costs when compared with those who were not under chiropractic care*. How long clients benefit from a healthily functioning spine and nerve system is entirely their choice. Chiropractors will typically have several recommendations about what may be required to maintain or optimise their health and feel their best, including posture, diet, exercises or stretching. Even with all of this in mind there is still likely to be some level of work or lifestyle stress that chiropractic adjustments can help to overcome. For example, most of us as chiropractors try to get adjusted every couple of weeks as we’re constantly bending and leaning over with our work. Once upon a time this was the only way people could get adjusted! Fortunately there have been great advances in technology and research that have helped to develop low-force adjusting techniques, which are equally as effective as the ‘manual’ adjusting techniques in most cases. If you have any more questions about chiropractic, it’s benefits, or our techniques feel free to ask your chiropractor! 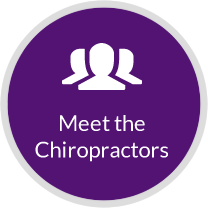 We’re passionate about chiropractic, so will be more than happy to answer any questions you or a family member may have.